Volume 32 of the series addresses one of the most rapidly developing research fields in physics: microcavities. Microcavities form a base for fabrication of opto-electronic devices of XXI century, in particular polariton lasers based on a new physical principle with respect to conventional lasers proposed by Einstein in 1917. 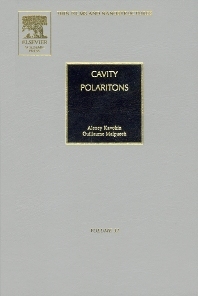 This book overviews a theory of all major phenomena linked microcavities and exciton-polaritons and is oriented to the reader having no background in solid state theory as well as to the advanced readers interested in theory of exciton-polaritons in microcavities. All major experimental discoveries in the field are addressed as well. Researchers working in laboratories and industries working on opto-electronic devices, students studying the physics of semiconductors and opto-electronics.